Samsung Inc. seems to be regaining some of the momentum it had lost in the recent years. The South Korean company — which launched the Galaxy S6 and the S6 Edge at the MWC — is now back on the track. Both the S6 and its Edge variant have become instant hits with everyone praising their metal cases, the features that come with them and in case of the Edge, the device’s dual edged screen. Well, as if two variants weren’t enough, rumors have surfaced of a brand new dual sim member of the S6 family — The Galaxy S6 Duos. The Duos, which was first seen in the Philippines is apparently in circulation in Russia as well. The spec sheet is more or less the same as the other S6s, we have a 5.1 Quad Hd display, Exynos Chip set, 16 MP of camera and so on. However, instead on one, there are two nano-sim slots in the device. 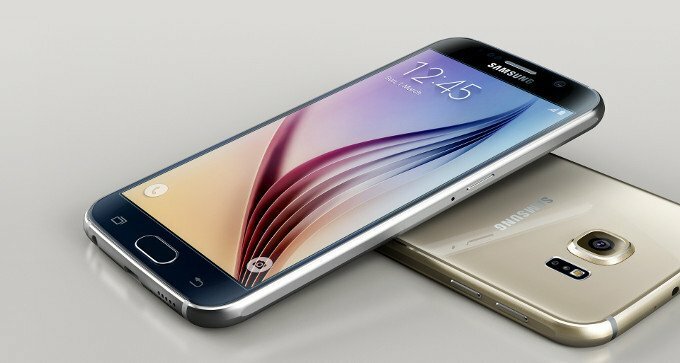 While the S6 and the S6 Edge came with multiple, variable memory capacities, the dual sim version is expected to be available in only the 64 GB version. Also, the device is not likely to hit the global market anytime soon but to be centered in and around Russia. The price tag which comes with this device is quite heavy at RUB 52,990 (~$901), but then its a Galaxy S6, and a dual sim one to boot so that was pretty much as expected. Well folks, that’s all we know about the Galaxy S6 duos for now. Stay tuned as we strive to bring you more on this and other interesting topics very soon.